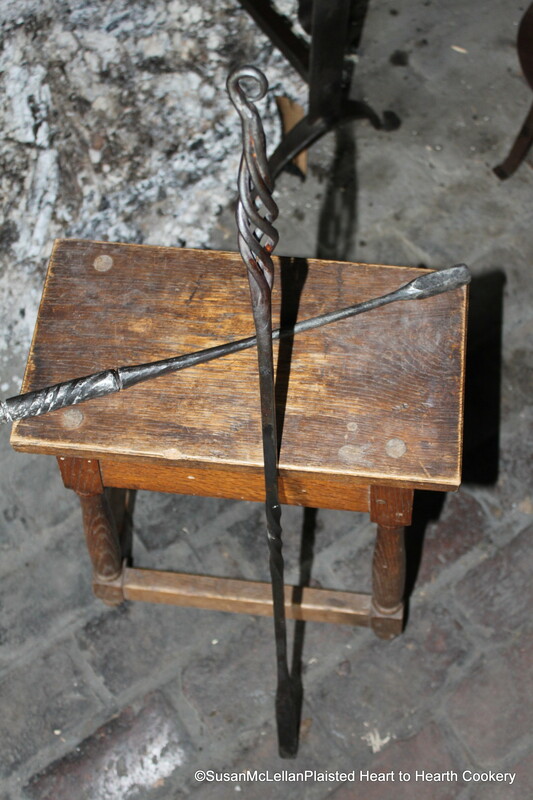 Pictured are two of my reproduction mulling irons. The ends that were heated in the hot embers and used to heat the ale or wine are to the right and on the floor. The iron would be tapped to remove ash and then inserted in the beverage to heat.